In the first two of Susan’s books in this series THE CHAMOMILE and LAUREL, we get to know Lilyan and Nicholas Xanthakos and follow their suspense-filled experiences. 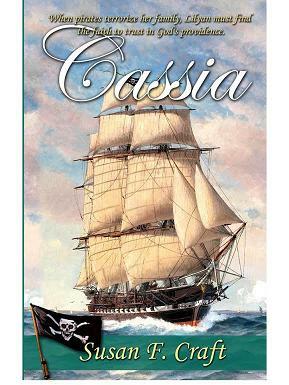 CASSIA is the third installment of their story. Susan’s books are filled with historical detail about the 18th century, particularly South Carolina. Share with us a little about yourself. I’ve lived in Columbia, SC, since I was five years old. Forty-five years ago, I married my high school sweetheart, and we have two adult children, one granddaughter, and a granddog. I’m a history nerd who enjoys researching for my novels. I get so excited when I come across a tidbit of history I’ve never heard of before. I can’t wait to share it and write it into my novel. That excitement is enough to keep me going. I enjoy painting, singing, listening to music, and sitting on my porch watching the rabbits and geese eat my daylilies. I recently retired after a 45-year career as a communications director, editor, and proofreader. 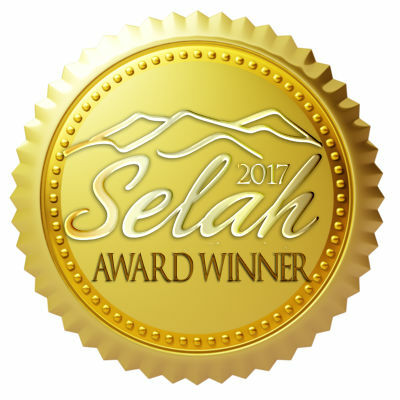 I write inspirational historical romantic suspense. My Xanthakos Family Trilogy includes a Revolutionary War novel, The Chamomile, which won the Southern Independent Booksellers Alliance Okra Pick; its sequel, Laurel, which was released in January 2015; and the third in the trilogy, Cassia, which will be released in September 2015. My husband and family are very supportive of my writing efforts. It’s funny sometimes, though, when I’m writing and I’m off in another time, my husband will come into my office and whisper, “Are you writing? I don’t want to interrupt.” It’s as if whispering makes it less of an interruption. You just have to laugh. Besides, we’ve been married 45 years, and he’s my best friend. 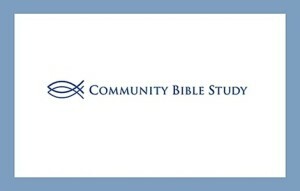 My publisher is Lighthouse Publishing of the Carolinas (LPC). I currently serve on the LPC Heritage Beacon Imprint publication board and work for them as a manuscript editor of historical fiction. 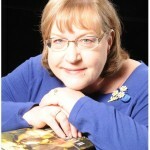 My literary agent is Linda Glaz of Hartline Literary Agency. To assist authors to “get it right about horses in their works,” I worked with the International Long Riders’ Guild Academic Foundation to compile A Writer’s Guide to Horses that can be found at www.lrgaf.org. 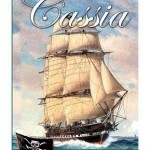 Please tell us about your new inspirational book, CASSIA (Lighthouse Publishing of the Carolinas). The Xanthakos family’s sea voyage from South Carolina to the North Carolina Outer Banks turns ugly after they pressure their ship’s captain to rescue a pregnant woman thrown overboard from a slave ship. When the slave contracts smallpox, the captain maroons her, Lilyan and Nicholas and their children, Laurel, Paul, and Marion, on an island. After Nicholas and Marion leave to seek help, Lilyan and her children and the baby, whom they have named Cassia, are captured by pirates and taken to their island hideout under the command of the vile Captain Galeo (The Shark), but Paul escapes along the way. Galeo is attracted to Lilyan and orders her and Laurel to dine with him where reveals his plan to make Lilyan his own and auction Laurel to the highest bidder and where he forces them to witness a mock trial and a hanging. 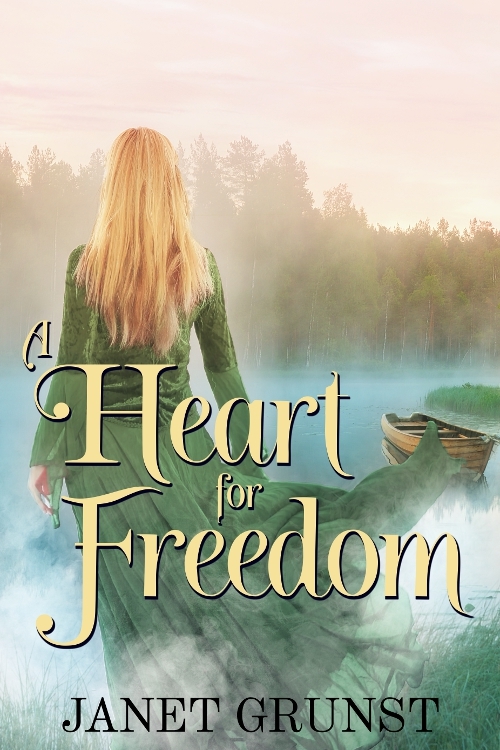 Heartsick to see her child exposed to such evil, Lilyan rekindles her long-dormant courage and forges an escape plan. Meanwhile, Nicholas faces his self-perceived failure to protect his family. He must abandon the life of a vintner and once again call upon the skills he honed as a captain in Francis Marion’s militia. Together they face the hardest challenge to a parent, watching as life tests the mettle of their highly sheltered and beloved children. Bolstered by their faith, they realize their personal strength isn’t enough to see them through and that God is in control. Will the Xanthakos children withstand their trials and learn to be as tough as their parents? Will the family be united and return to their peaceful Blue Ridge Mountain home? 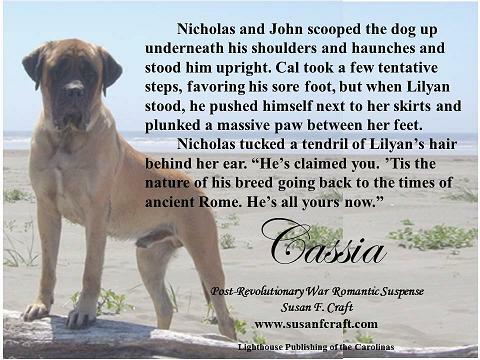 You said you had a great story about how you came up with the character of Cal the mastiff who is a hero in Cassia. Our granddog, Steeler, is a cuddly ball of fluff who brings us much joy. Last year, I was in our backyard inside a temporary fence we erected for when we babysit Steeler when two pit bulls and a boxer who were roaming the neighborhood tried to attack Steeler and me by pushing on the fence. Now, Steeler is a doxipoo who weighs in at 14+ pounds, but he didn’t let his size stop him from placing himself between me and those dogs, who probably weighed 300 pounds or more. With the heart of a lion, he faced them down until I could get us both back into the house. 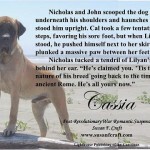 I was in the middle of writing Cassia, and that incident inspired me to include a dog in the story. Like Steeler, the dog that I named Cal does some heroic deeds. Only Cal is a mastiff who weighs over 300 pounds. When searching the Internet for pictures of a mastiff to help me with my descriptions, I came across the Cedarhollow Mastiffs site where I found a fantastic picture of a mastiff named Othello. I contacted Jamie Morris, the owner of the kennel, and asked permission to use the picture of Othello in a meme to advertise my novel. Jamie was excited and graciously said yes. Turns out she’s an avid reader who wants to read the Xanthakos Family Trilogy, and we’ve become Facebook friends. Sometimes people will ask me who inspired a particular character or who do I envision portraying one of my characters in a movie. 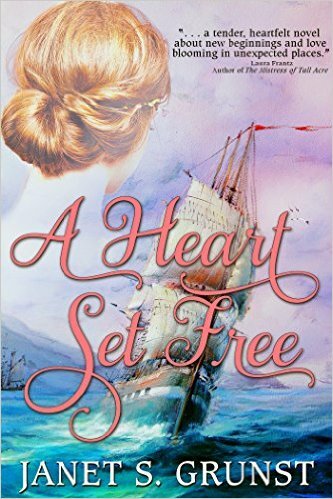 Steeler can puff up his chest with pride knowing that he is portrayed by Cal in his grandma’s novel. Is there a message or a spiritual theme in your novel that you want readers to grasp? I do have similar themes throughout my writing–faith under pressure and letting go of willfulness and reliance upon self-sufficiently. I visualize my body of work as a tapestry through which I’ve spun a golden thread of faith made from finely hetcheled flax silk. Although it may disappear from sight, it’s always there, a constant foundation, binding the piece together. Can you tell us anything about the next book in the series or a current work in process? I’ve almost completed my research on The Great Wagon Road that stretched from Philadelphia to Savanna, GA. From 1720-1780, it served as a passage for immigrants, mostly from Ireland, to travel from the North and settle in the South. I’m thinking it will be a series of romances and adventure stories, similar to the old Wagon Train TV series I watched growing up as a child. Thank you so much, Susan for being my guest. I know folks will enjoy your books. My books are on Amazon, Barnes and Noble online and can be ordered in their stores, and the bookstore of Lighthouse Publishing of the Carolinas. 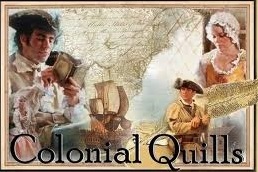 Susan Craft is a friend and fellow contributor on Colonial Quills. 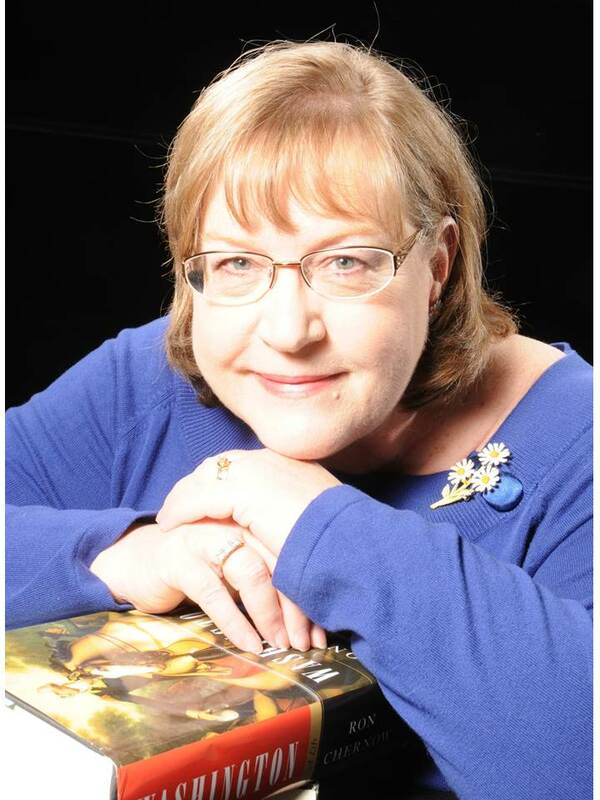 We are also both represented by Linda Glaz of Hartline Literary Agency. Tall ships, pirates and now I learn that a dog is a hero! I cannot wait to read this! Susan’s books are great. I’ve read the first two and can’t wait to read this one. Hi, Debbie. You will love Cal. Hi Janet and Susan! I cannot wait to read this third book in the series. The first two are awesome and I know this one will be every bit as good! Congrats, Susan, on this third release! Thanks for stopping by, Elaine. Thanks so much for your support and enthusiasm for my books. Coming from you, it means a lot. Thanks so much for your support and enthusiasm for my books, Elaine. It means a lot to me. AMEN! Thanks for stopping by, Elaine. Janet, thanks for the great interview. Susan, I enjoyed learning more about you. Especially exciting–in addition to your blossoming writing career–is that you’ve become an editor at LPC. Perhaps you’d like to do a blog post and share with us writers on what it’s like to be an editor. Elaine, I’d love to talk about being an editor. Let me know when. Thanks for stopping by, Elaine. I’d like to hear more about Susan’s entree into the editing world also.